Our night was really packed. Dinner at Red Cat on Lizzie’s recommendation. Food was great, service was perfect (generous wine pours), except we had two loud Joey Buttafuocos sitting adjacent to us which ruined the experience. 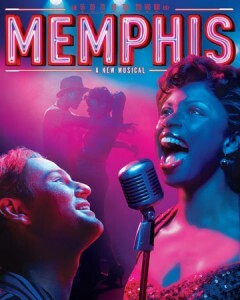 I really wanted to see a show during our trip so I booked the 2010 Tony Award-winning musical Memphis. Did it deliver! Amazing music and dancing. Lots of watery eyes before cutting to intermission. It is my favorite show, musical, performance that I’ve ever seen. Highly recommend. There was a Shake Shack nearby which I’d been wanting Dean to try. I really liked the fast food joint the first time I tried it, but it didn’t do it for me this time. We ordered both a hamburger and hot dog plus mint chocolate custard and wine. I’m sorry, but In-n-Out is way better than the Shake Shack. Has anyone tried both? Curious what the other opinions are. Quite nice, though, to have wine at a fast food joint. Lastly, we ended our night at Little Branch which is a very cool underground lounge in the West Village. Jazz band playing in the background. I thought I read that it’s modeled after Bourbon & Branch in SF, but that could be a complete rumor. The bartenders made the cocktails with much love. Absolutely divine.